Wearable Tech made a big impact in 2014 and is set to keep rising in 2015 and beyond with a whole new wave of fashionable products including activity trackers, smart watches, glasses, VR headsets, and smart bracelets being launched. The smart glasses industry alone is predicted to be a $6 billion opportunity by 2018 so it’s no wonder Intel have partnered with Luxottica (Oakley, RayBan, Georgio Armani) to develop new fashionable tech glasses. The wearable tech industry is estimated to be worth more than $70 billion by 2024. In the smart watch sector Samsung’s Gear 2, Motorola’s Moto 360 the Apple Watch are all generating a lot of attention. Fitness trackers and activity monitors are also big news enabling us to quantify our sports and health activities. The demand for these products is high with experts predicting they’ll shift nearly 170 million units by 2017. Also in development are smart bracelets that deliver notification messages and vibration alerts and claim to use projection technology to display a touch screen on your arm, although some have questioned whether this is actually possible. Virtual reality headset products are still in the development stages but are attracting a lot of interest with Oculus being acquired by Facebook last March for $2 billion. Other notable products include rucksacks, handbags and smart purses that have the ability to carry battery cells that charge our USB devices. 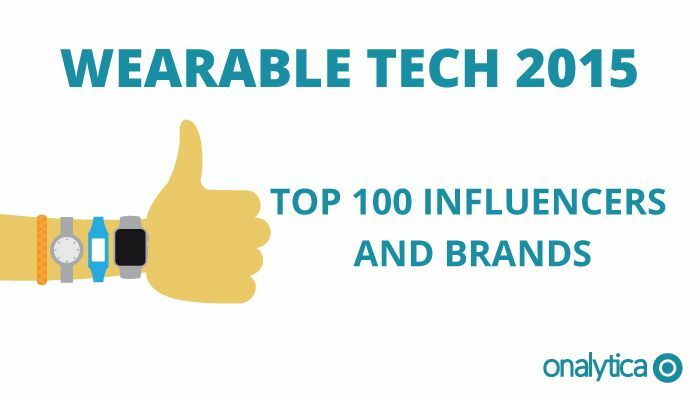 At Onalytica we have analysed the online debate on wearable tech by looking at over 300K tweets to present you the most influential individuals and brands that drive the discussion. 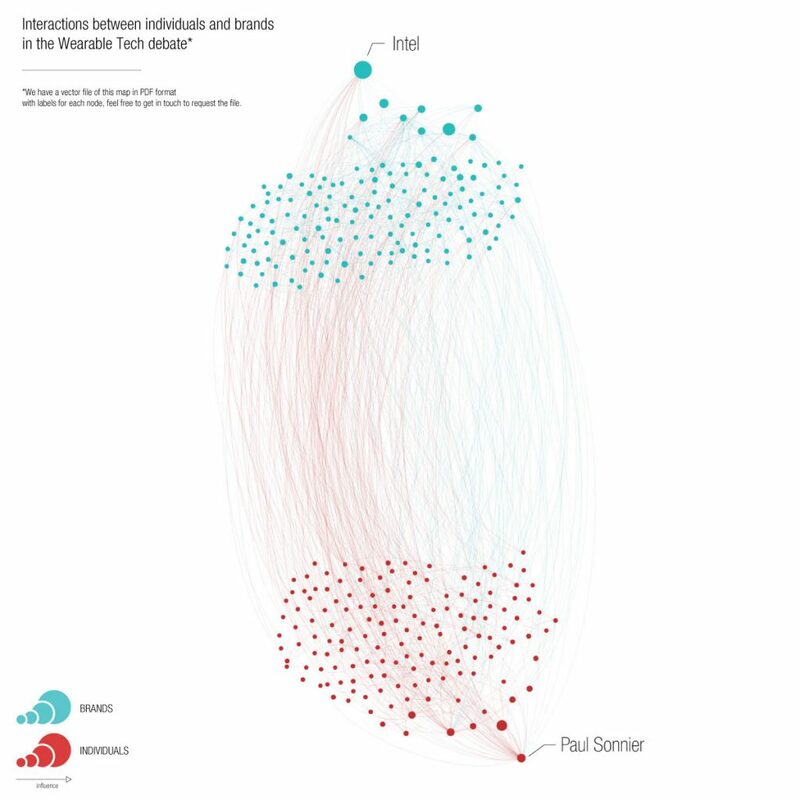 We looked at individuals in digital health, mobile communications, strategy, analysis, design, innovation and electronics engaging in the wearable tech debate to give us the Top 50 list of influencers in the wearable tech landscape. Be sure to hit one of the green buttons to download (free!) the full top 150 brands and individuals. 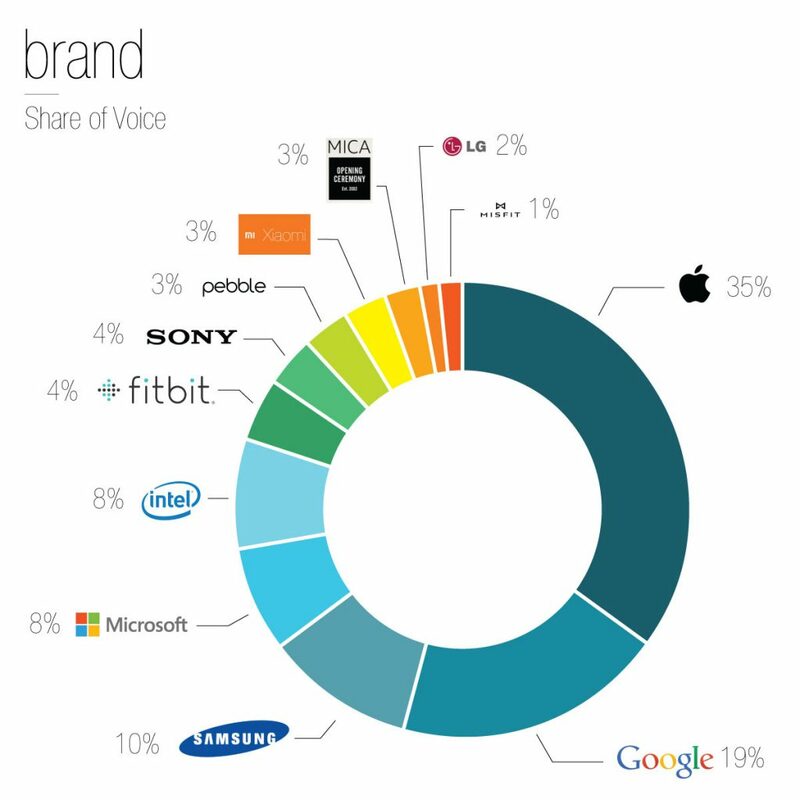 We looked at the key players driving the discussions in the tech community to provide the Top 50 list of brands in the Wearable Tech landscape. Be sure to download the full analysis with 150 most influential individuals and 150 most influential brands and market and product analysis. , IoT, Machine to Machine …) be sure to have a gander on our blog or why not propose some topics to us on twitter? We also build some very cool software to manage all of these influencers and you can get a free demo at any time by clicking the button below.